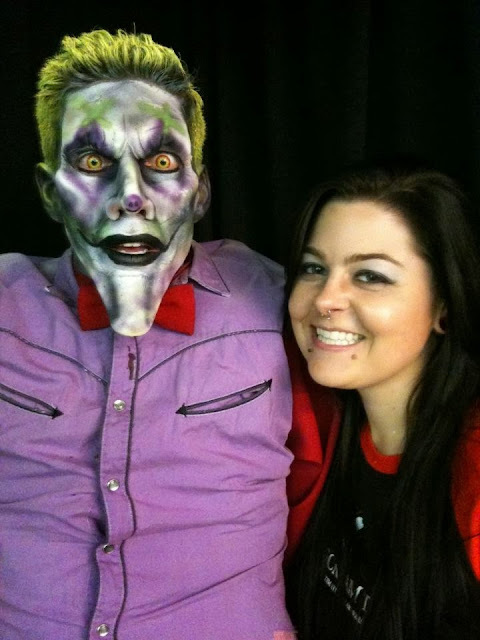 Not only is Melissa Krimsky one of my favorite people on the planet, she's also a killer special effects makeup artist. Here's a bit from my sit down with one of the queens of all things horror! Have you always loved Halloween and horror? Yes, yes, yes! I remember being about eight or nine years old (there is photo evidence somewhere in a box at my parents house) and dressing up as a zombie for Halloween. I remember catching parts of Child's Play, The Exorcist and Night of the Living Dead (1968) and I was hooked. Child's Play did scare me because my toy of choice was Gimbo the clown from Gymboree. Do you remember what started your fascination? I can't remember EXACTLY what started it, but I just remember all the fun and effort friends, neighbors and family put into Halloween decorations and how much fun it was to go trick or treating. As I got older, I started looking and reading more into the history of Halloween/Samhain and being completely fascinated with the myths behind it, and now my apartment is somewhat of a museum of monsters and Halloween decorations year round. I'm always asked this question and it's always a tough call, I always break it into categories as I have so many favorites. How long have you been doing special fx makeup and how did you get your start? I've been doing it professionally for about six years now, but I've been playing with makeup since I was a kid. I never learned beauty makeup but I nailed the Elmer's glue and toilet paper "rotting skin" look when I was about fourteen years old. I got my start by working at Fright Fest at Marine World (now Discovery Kingdom) in Vallejo, CA at fifteen years old. I auditioned to be a ghoul about a week after my fifteenth birthday and got the role and a few years later requested to switch to the makeup department and got it! I'm now in my tenth season of Fright Fest, now working with The Scream Team at Six Flags Magic Mountain in Valencia. The ones that stand out the most for me have to be working at San Diego Comic Con's Zombie Walk in 2011, my first feature film Zombie Apocalypse which aired on SyFy in October 2011, and working the Military Vs. Zombies event every summer at Batcave in Hollywood. You'd think it would be something like being on The Walking Dead right? While that would be an amazing opportunity, I'd honestly love to be the head makeup artist for an indie film that booms! Films like Trick 'r Treat and Cabin in the Woods that started on small budgets and had great success with the horror community are what I love. I'm a huge supporter of indie films and nothing would make me happier than being the head artist for one that just hits high notes with the horror audience. I have a few costumes, one of which I've been working on since June which is a "buddy" costume with my puppy, Beetlejuice and Frankenweenie. Both costumes I handmade/found at thrift stores and pieced together. I'll be going to work at my "grown up" job as Alex from A Clockwork Orange and I've also got a Steampunk (Disney) Zombie Haunted Mansion employee, and a Steampunk Evil Queen from Snow White in the works. 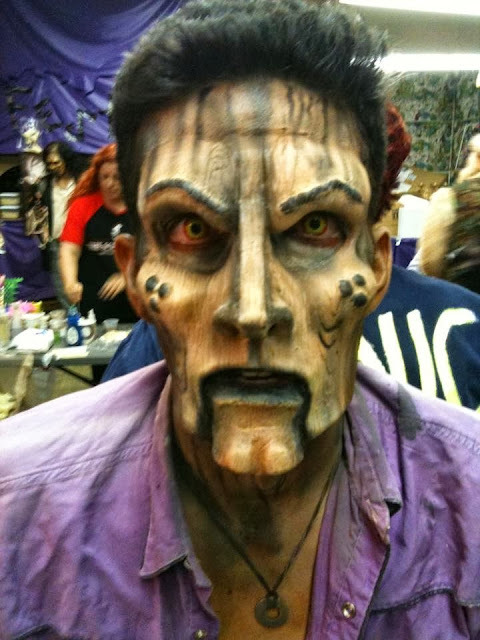 What advice would you give someone who wants to get into special fx makeup? It's hard! But keep at it! Due to the success of shows like Face Off, the booming need for zombies (thanks to The Walking Dead), and so many makeup schools around the country, everyone is trying to break into the industry in some aspect. You have to find what makes you stand out as an artist, what do you do that is something people will see and know you for? (Prosthetics, fabrication, coloring, etc). I guess the best advice I've ever been given is to have passion for it because it's NOT a 9-5 job, it's not guaranteed work, and you have to climb a very unstable ladder to get noticed. But it's worth it. If you love it and you stand by your work and continue to seek knowledge and better yourself, good things will come. A huge bloody zombie thank you to Melissa! 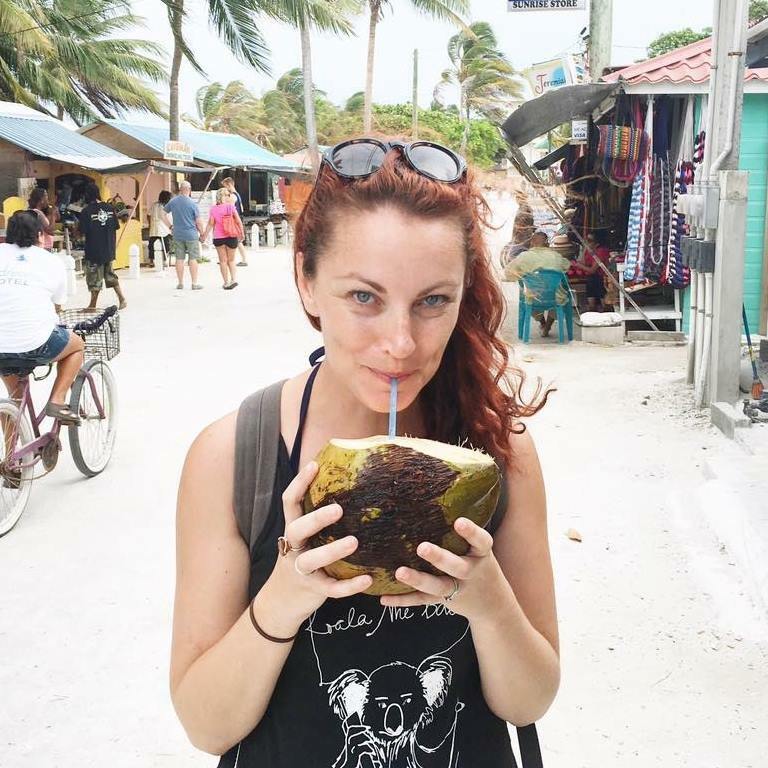 You can check out more of Melissa's work here and be sure to follow her on Instagram. And stay tuned for some Halloween makeup tutorials!